The chip giant, Intel has launched a new open-source platform named 'Nauta' which enables data scientists and developers use Kubernetes and Docker to conduct distributed deep learning (DL) at scale. To help data scientists and developers in conducting distributed deep learning using Kubernetes and Docker, the renowned chip-maker Intel has launched a new open-source platform named Nauta that offers a distributed computing environment for training deep learning models on systems running on Intel’s Xeon Scalable chips. It can also be used to define and schedule deep learning experiments and check the status or results of those experiments. Open sourced under an Apache 2.0 license, the platform can run on Ubuntu 16.04, Red Hat 7.5, MacOS High Sierra and Windows 10. According to the company, developers will be able to use existing data sets, proprietary data, or download data and can also create public and private folders, to make collaboration between teams easier. It also lets Job inputs and outputs to be shared among team members. “Nauta gives users the ability to leverage shared best practices from seasoned machine learning developers and operators without sacrificing flexibility. At every level of abstraction, developers still have the opportunity to fall back to Kubernetes and use primitives directly. 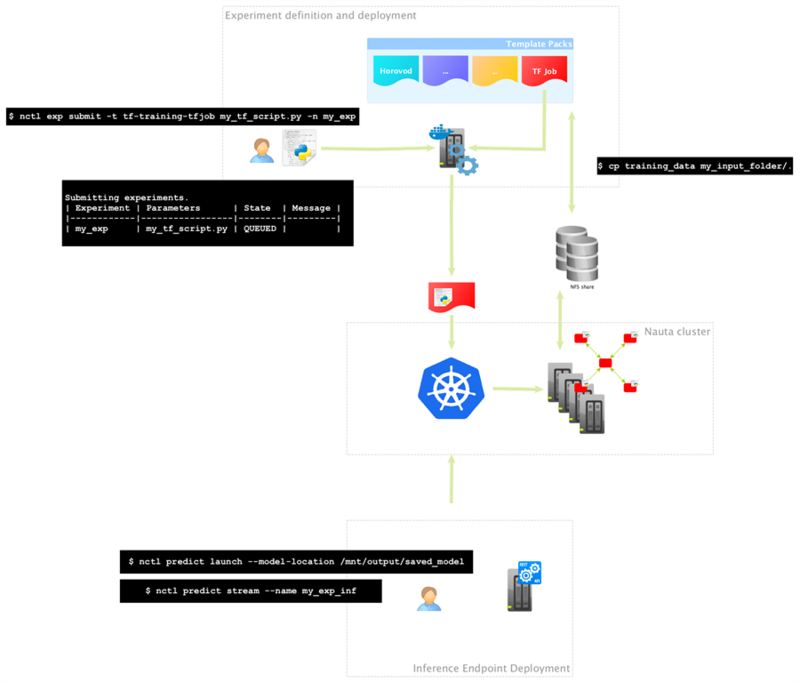 Nauta gives newcomers to Kubernetes the ability to experiment — while maintaining guard rails,” wrote the company.